Our Little Smart Family: She is Here! We can't believe it finally happened!! At 4:48 pm on Wednesday Oct 15, 2008 Camryn Renee Smart was born! Weighing 6 lbs 15 oz and 20 inches. After 18 hours of labor we were able to fianlly see what she looked like. She is absolutely adorable and so sweet. Who would have thought she would have all that hair? I can't believe how thick and dark it is! We couldn't be happier!!! 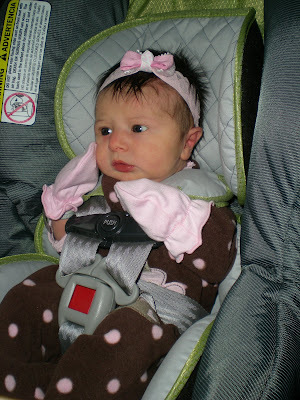 This is her on the drive home only 24 hours after she was born. It's amazing how much I love her already! I can't imagine how it is for you! So glad she's being a sweet baby for you. Make sure you give her lots of extra squeezes and kisses for all her relatives (aunt, uncle and cousin) who won't be able to see her for another month. congratulations, guys! she is so adorable and i love the name. if only i could have a girl! good luck adjusting to parenthood. it's pretty crazy! She is so dang cute. Good job you guys. Have so much fun with her and enjoy every moment. Time flies by so fast you wont believe it. Congratulations!! She IS adorable! But, you are right I never would have expected to see such thick dark hair on a newborn baby, and she doesn't even look newborn because she's not swollen and red like most newborns. She looks a month old! I am not sure who she looks like either! The Milkman? Either way, I just think she's so beautiful! We love her! Love the carseat picture. I totally know what you're talking about with all the hair! Ryan had a lot, not as dark, but I just remembered being so bald, that's what I expected. I had to send Syd to go buy a baby hairbrush. Holy Crap! You have a freaking baby! Congratulations! I love her dark hair! You two make for one cute bay-bay. So happy for you! She is BEAUTIFUL! Good luck with everything! How cute! Happy day for you all. Little girls are so so so wonderful! Oh my goodness! Congrats you guys! Hope all the adjusting is going well! I'm glad I found your blog from Trav and Liz's so I could see these cute pictures!! Congratulations you guys. She is such a cutie. I love all that dark hair. And she looks so alert already for only 24 hours old. Congratulations!! Can I be first in the auntie line since I'm the oldest? I'm just saying. I love her already and hope she stays little so that when I see her she won't be too different. They change so much the first month - enjoy it all! Love you - love her! 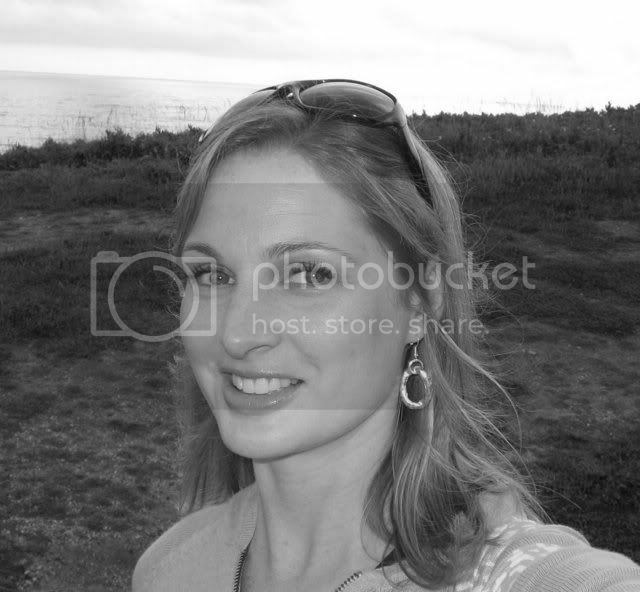 Hooray for blogs and pictures!!! 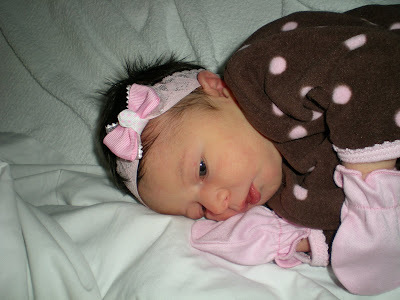 I have been itching to see this adorable baby Camryn- and she is such a cute newborn- seriously!!! ...and look a that hair! She seems so alert too. I can't really tell who she looks like- definitely a mix, but I'm leaning towards a Motley. Erica, call me when you get a second...since you don't get phone service at your house..... CONGRATS! so cute! congratulations. can't wait to see more pics. enjoy the little lady! Congratulations! That is so exciting. I've been following your blog closely this last week waiting to here when she arrived. So fun. Congratulations! Newborns are so fun and so exhausting. Love it all. She is precious! A big congratulations from Me & Tom!!! We're so excited for you guys! She is absolutely beautiful, and all that hair... what a lucky girl! Congrats again, and good luck!!! She is so beautiful! We're so glad that all went well. Congratulations! Hopefully we'll get to see her some time soon! Hi Erica and Ryan, Congrats that she is finaly here! She's beautiful and I hope to someday meet the first Motley Granddaughter!! YAY!